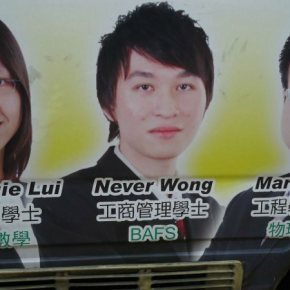 NOTABLE NAMES (Brilliant Funny Weird Monikers): Are Lucky Draws Dishonest and Corrupt? 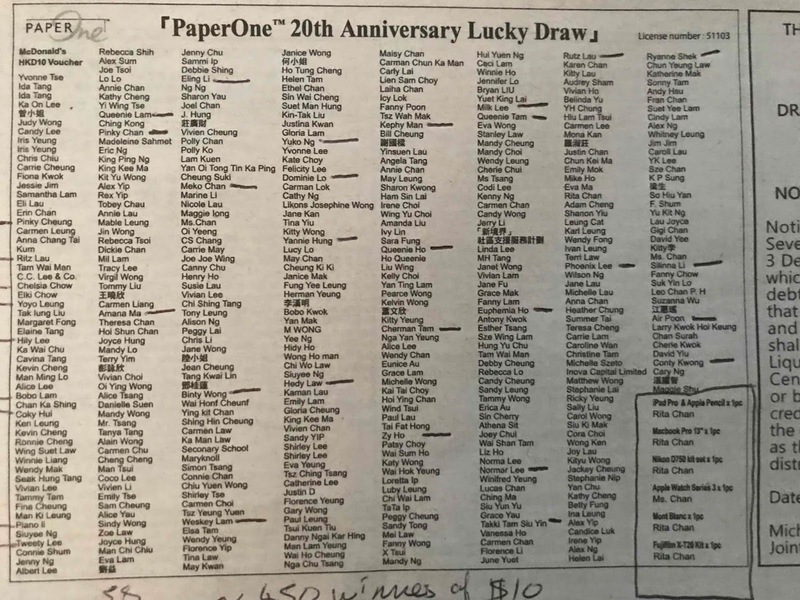 Paper One published its 20th Anniversary Lucky Draw in The Standard on 16 November 2018. 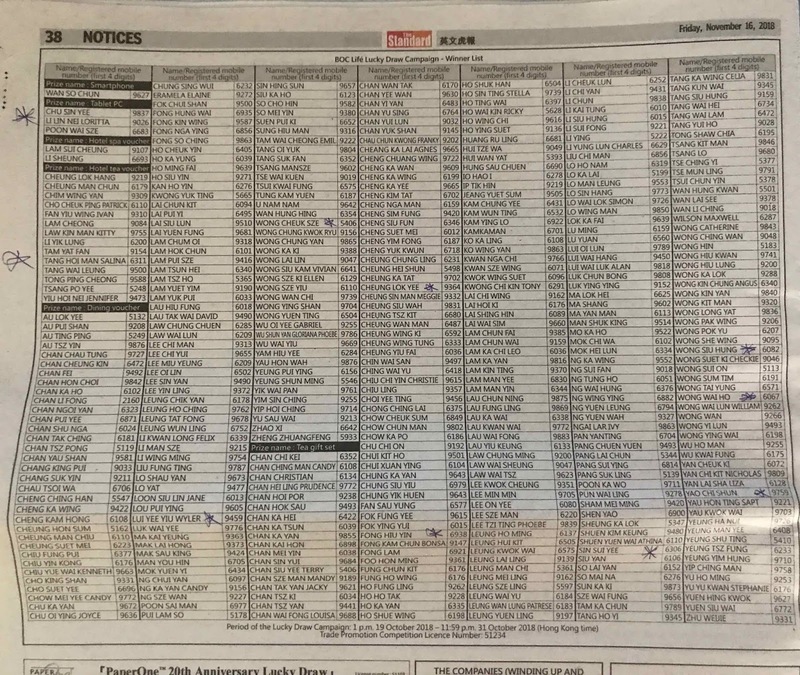 There is a list of about 450 people who each won a HK$10 McDonald’s voucher … and one (?) person who picked up the Top Six Prizes. The one main winner named Rita Chan (and Ms Chan) appears extremely suspect (is this Ms Rita Chan associated in some way with Paper One?). The public have a right to know. This blog noticed this strange oddity simply because of the Notable Names listed as $10 winners (e.g. Chelsia Chow, Hily Lee, Binty Wong, Zy Ho and Silinna Li to mention a few). In all, there were about 35 Notable Names from the 450 $10 winners, which will all be published on this blog in due course. 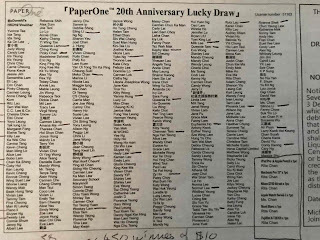 Congratulations Ms Rita Chan for avoiding the $10 McDonald’s voucher and instead 'managing' to pick up all Top Six Prizes of the Paper One 20th Anniversary Lucky Draw. Who are you Ms Rita Chan? And what is your connection with Paper One? The Trade Promotion Competition Licence Number is 51103. Looking at the financial distribution of the Paper One prizes, we can say $4,500 are valued as 450 McDonald's vouchers and approximately $60,000 are valued as Six Top Prizes (assuming each Top Prize averages $10,000 in value). This means from a total value of $64,500 worth of prizes, a paltry 7% is distributed to 450 people and a huge wodge of 93% is given to just one person named Rita Chan or Ms Chan. The ICAC (Independent Commission Against Corruption) could look into this, but will it ... ? 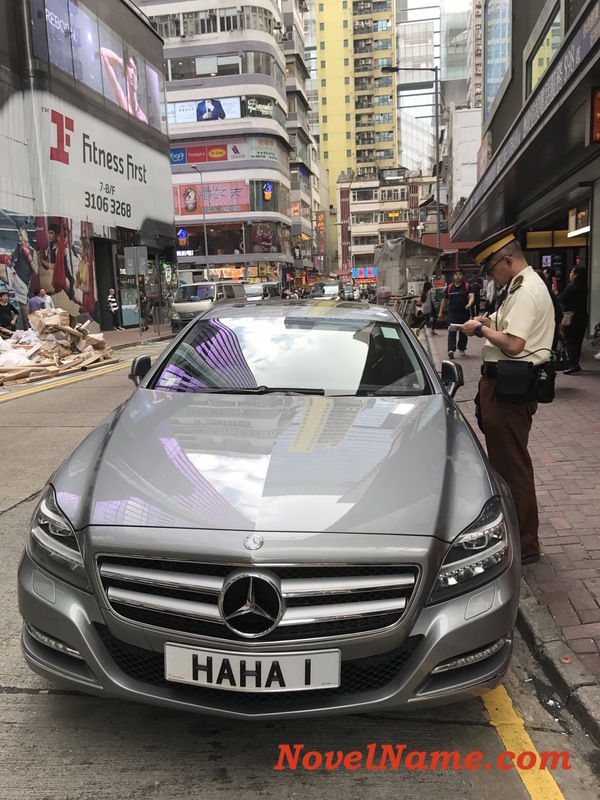 Sadly, this is likely an indication of privilege and the unfair distribution of wealth found in Hong Kong society ... where the rich and privileged continue to be rich and privileged and the common people with little connections are just "fed meagre scraps" to keep them quiet, submissive and hardworking. 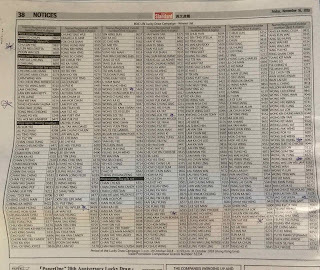 This all looks very suspicious, particularly when compared with the BOC Life Lucky Draw Campaign Winners List (also published in The Standard on 16 November 2018). Its Trade Promotion Competition Licence Number is 51234.